U.S. Navy Seal, Cmdr Christopher Cassidy is part of the space shuttle crew Endeavour on STS-127 mission. 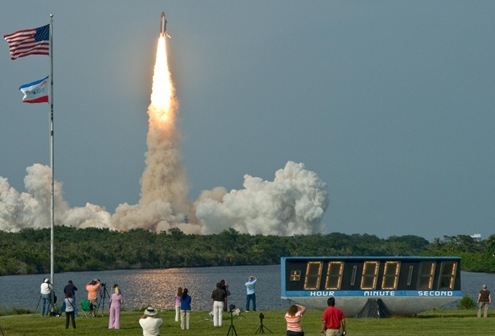 The space shuttle was launched at 6:03 p.m. EDT on July 15 from NASA’s Kennedy Space Center in Florida. The launch was successful in the sixth launch attempt. The launch was postponed on July 11, 12,13 due to inclement weather. The same launch was postponed twice due to hydrogen leaks on June 13, 17 and after defect rectification the launch was scheduled for July. Cassidy is one of the seven astronauts of space shuttle Endeavour on STS-127 mission. He is the second SEAL to go to space after Capt. William Shepherd in 1992. He completed his master’s degree in ocean engineering from the Massachusetts’s Institute of Technology in 2000. He was selected for the space program in 2004. Here is a photograph of Cmdr. 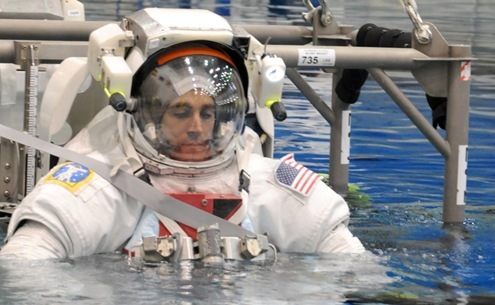 Chris Cassidy in the Neutral Buoyancy Laboratory (NBL) on a training session in Houston. View more photographs of Cmdr. Chris Cassidy, from U.S. Navy. Read more about Cmdr. Chris Cassidy, from U.S. Navy. Space shuttle Endeavour and its crew of seven astronauts returned back after 16-day journey of more than 6.5 million miles with a 10:48 a.m. EDT landing on July 31 at NASA’s Kennedy Space Center in Florida. Read more from NASA.